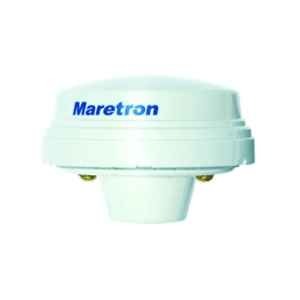 The GPS200 antenna/receiver is a plug-and-play device that is fully compliant and certified to the NMEA 2000® Standard. It will directly connect to any NMEA 2000® network and communicate with navigational software, chart plotters, autopilots and dedicated instrument displays ? such as Maretron's N2KView® Vessel Monitoring and Control system or DSM250 graphical display ? and its compact, waterproof housing provides years of reliable performance. The GPS200 automatically decodes GPS correction signals from Satellite Based Augmentation Systems (SBAS) including the North American Wide Area Augmentation System (WAAS), the European Geostationary Navigation Overlay System (EGNOS), or the Asian Multifunctional Transport Satellite-based Augmentation System (MSAS) to provide better than 2.5m accuracy. The GPS200 is easily mounted to any 1? standard marine mount with its standard 1? ?14 male threads. It can also be mounted directly to a deck, or even (due to it's unprecedented sensitivity) underneath a fiberglass deck.